According to the information about this new upcoming movie.This film was directed by Remo D'souza. Releasing date of Race 3 is June 15,2018 at EID-UL-FITAR as we all know that Salman Khan's movies bang on the screen on every year at EID-UL-FITAR. In this movie Salman khan are going to play the negative role first time in his entire career. This is the most awaited movie of 2018, As we all know that how much famous. Salman Khan become most famous star after his movie WANTED which is released in 2008. Race 3 is full of Action , helicopters, Cars, etc. The first trailer for the film was released by Salman on Tuesday at an event in Mumbai, and subsequently shared online. The main cast of this most awaited movie are Salman Khan , Bobby Deol , Anil Kapoor, Saqib Saleem , Daisy Shah, Jacqueline Fernandez. We then see him doing high-octane action on bikes and even a chopper. We are introduced to other characters like Anil Kapoor’s don and his son, played by Saqib Saleem. 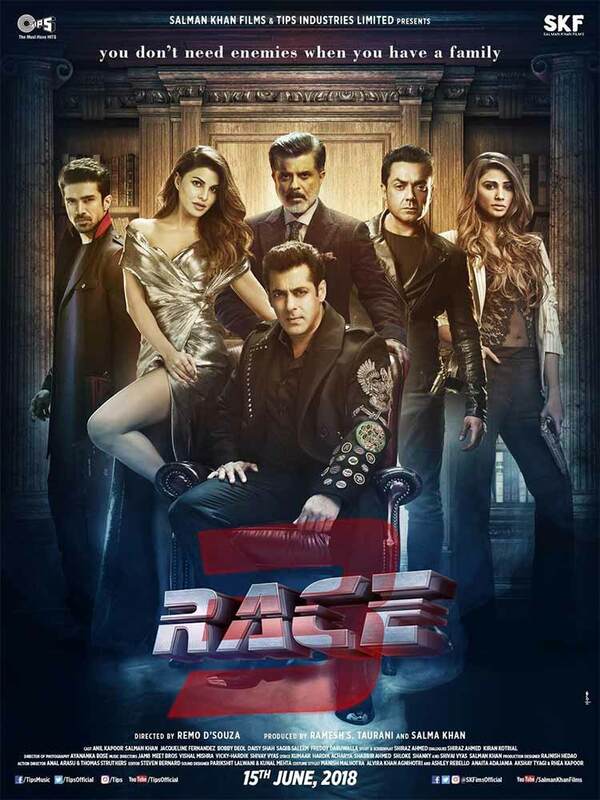 With bullets flying all over, Race 3 seems set in the backdrop of a middle eastern city. In close ups, Salman announces how he is ready to go to any length for his family. After some more action, the trailer finally ends with Salman holding a new-age bazooka. After Tiger Zinda Hai, this is the second time, Salman will be flaunting his high end gun totting skills. So according to the Trailer the stroy looks like all about family we dont know much about the story but it should probably about to save the family or get betrayed by the family. The budget of the film is said to be whopping Rs 120 crore, the value of its satellite and digital rights are projected to be worth Rs 150 crore.